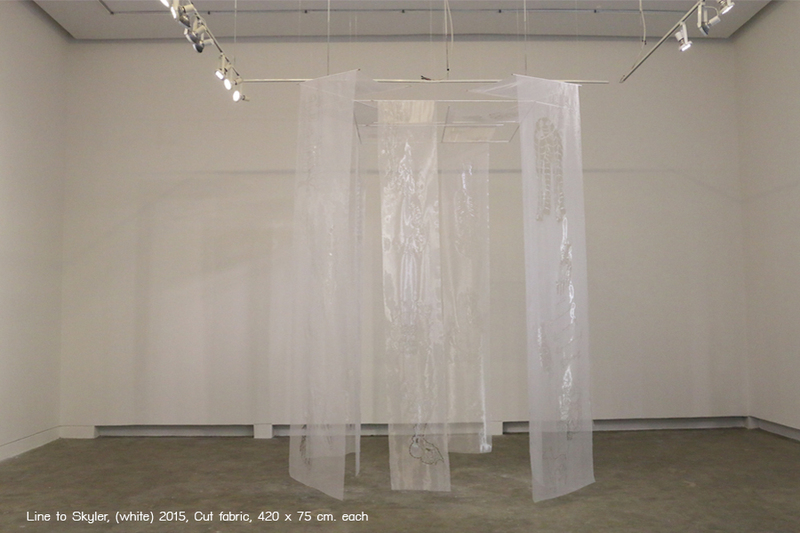 วันเสาร์ที่ 6 กุมภาพันธ์ 2559 เวลา 18:00น. 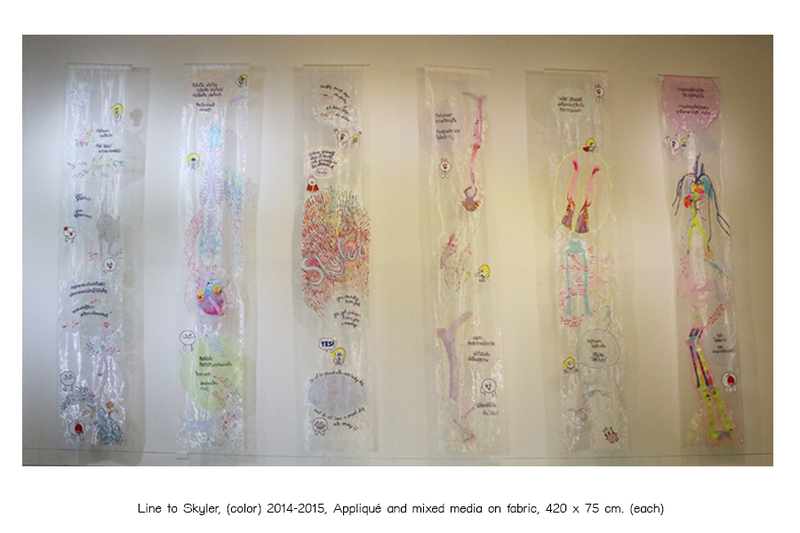 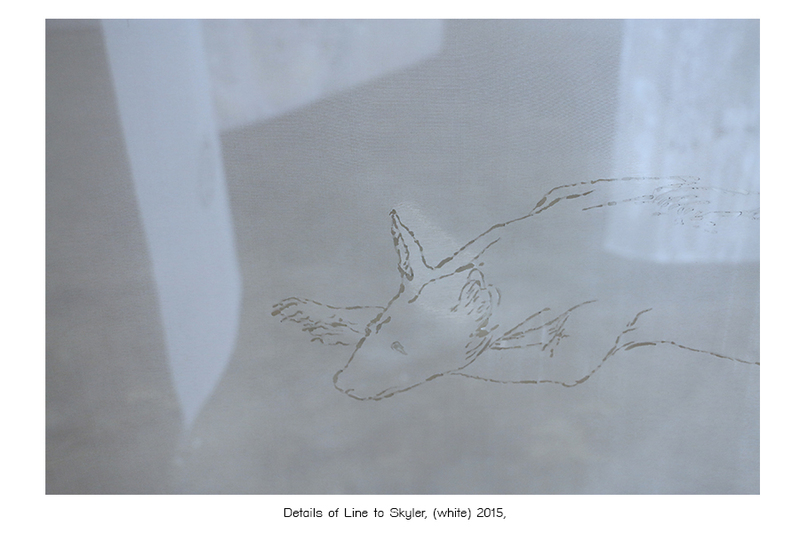 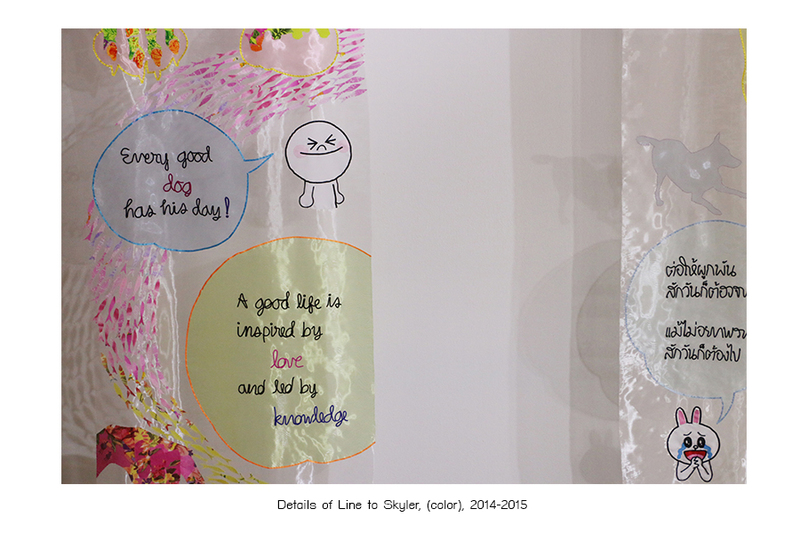 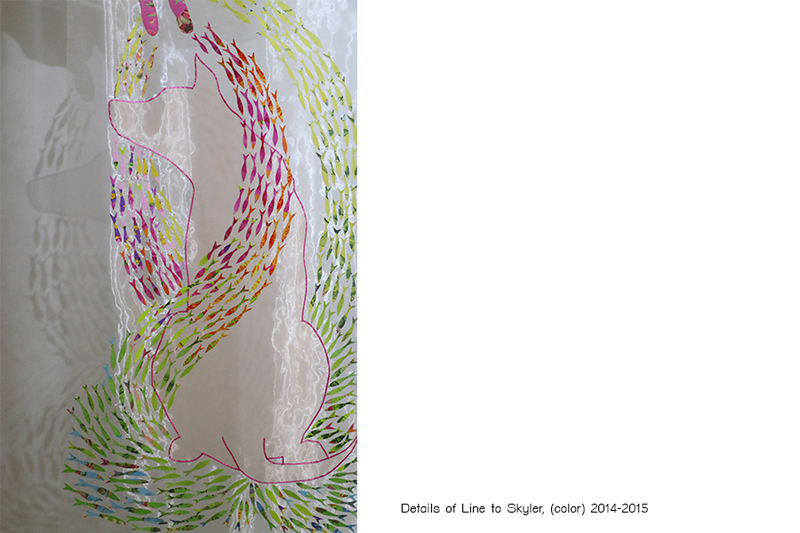 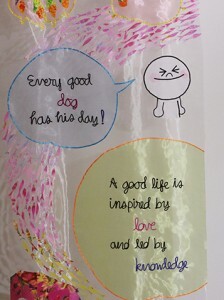 “Line to Skyler” is an art project based upon the “Line” media application that reflects the love and tenderness that are sent through “Line” messages to Skyler, a dog that was regarded as a “Single Son”, who has passed away. 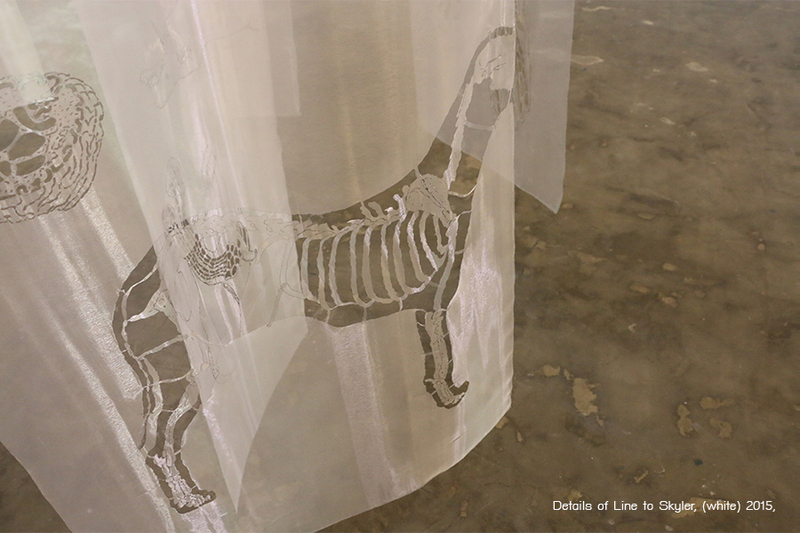 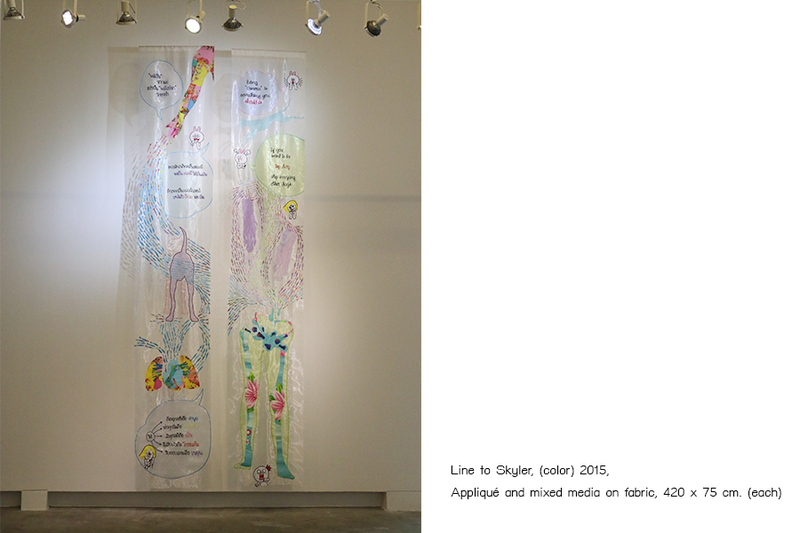 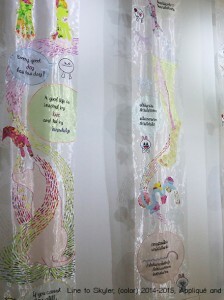 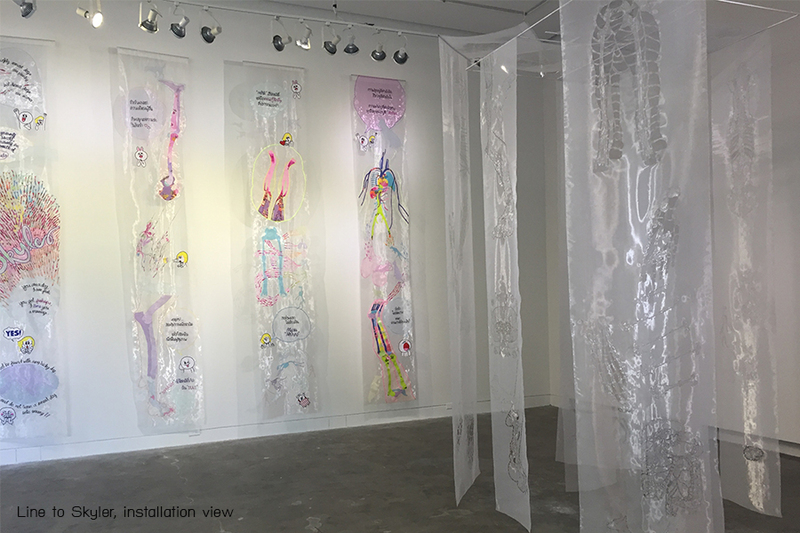 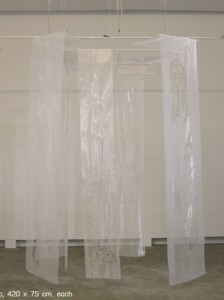 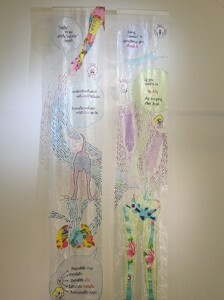 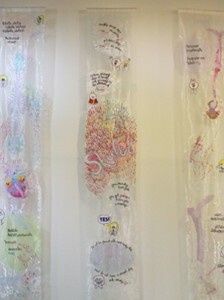 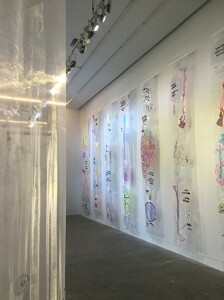 This work of art is composed of many transparent fabric sheets that represent ‘Line’ screens that contain messages, preaching, cartoon pictures or stickers that manifest feelings instead of words. 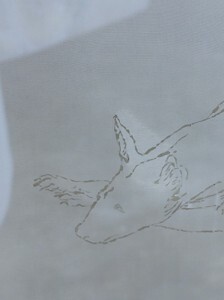 The work also consists of images of schools of fish that symbolize myself, sent to Skyler in order to relieve his back legs with which he had a problem in his old age. 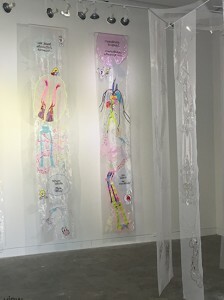 In addition to the fish, the picture also consists of symbols of the inner organs of the artist, which will boost Skyler’s health and make him happy in his next life. 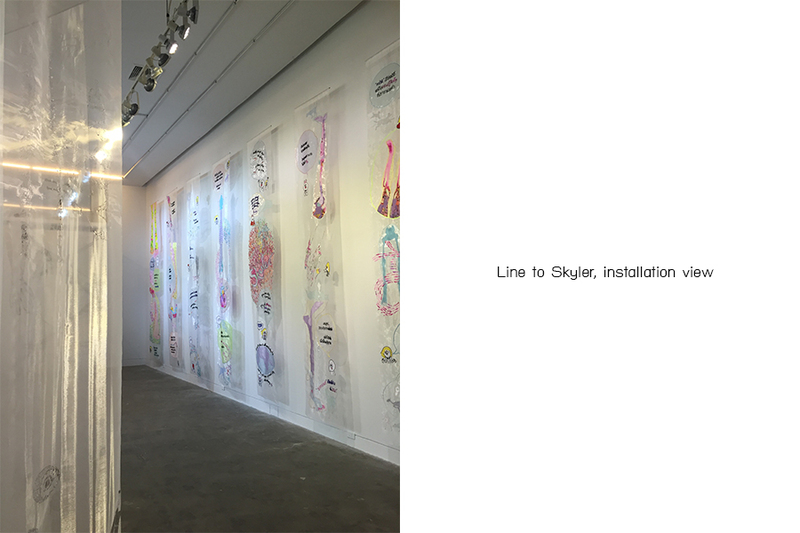 The objectives of this project are (1) to create the story of love and care for “Skyler” through symbolic text messaging and picture messaging through the “Line” program in the context of the installation art; (2) To create an art project that reflects the coexistence between art and messaging; (3) to find out the coordination between all the components of the work and the dimension of shadows that will occur in the work; (4) to create interactions between the work and audience as if the audience were chatting with the artist and Skyler; and (5) to let the exhibition of this project encourage the audience to become merciful to dogs – pets that fill kindness in human hearts. 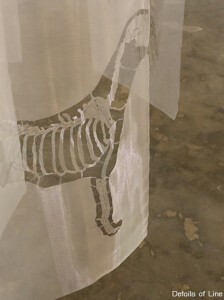 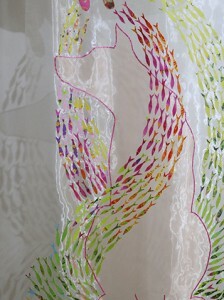 The pieces of art work are fabric divided into two sets, the total number of which is 18 sheets. 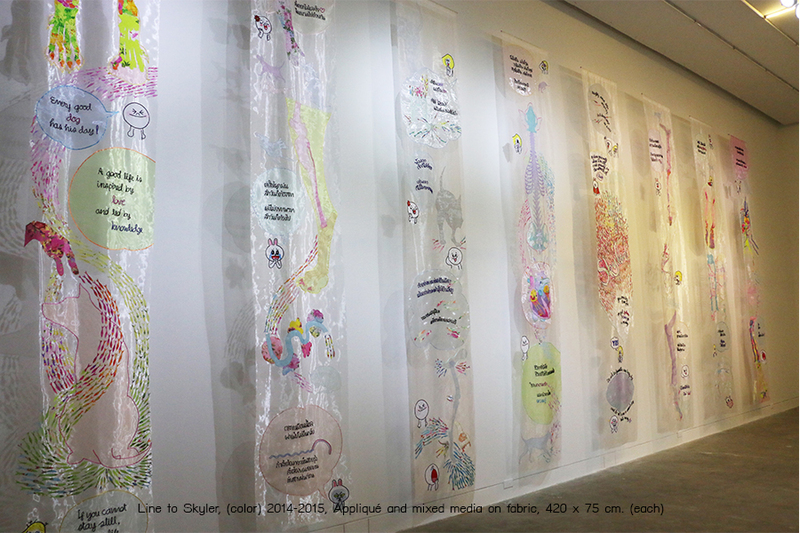 Each sheet reflects the beauty of love that leads to perseverance to create all the compositions of each sheet through thread and stitches that work together in order to add the aesthetics to the ‘Line to Skyler’ work of art.